Red Rocks Park is a crown jewel of the Denver Mountain Parks system—listed on the National Register of Historic Places. Named for the towering 300-foot red sandstone rock formations, the park is home to a world-renowned amphitheater situated amid the rocks, providing exceptional acoustics. Built by the Civilian Conservation Corps in the late 1930s, the venue attracts musical talent from around the world. Confluent Design received a grant from the National Park Service to prepare a Historic American Landscape Survey for the Park. This report was recently published by the Library of Congress and can be found here. Our research was also instrumental for the documentation of cultural landscape resources for the National Historic Landmark designation, led by the National Park Service. 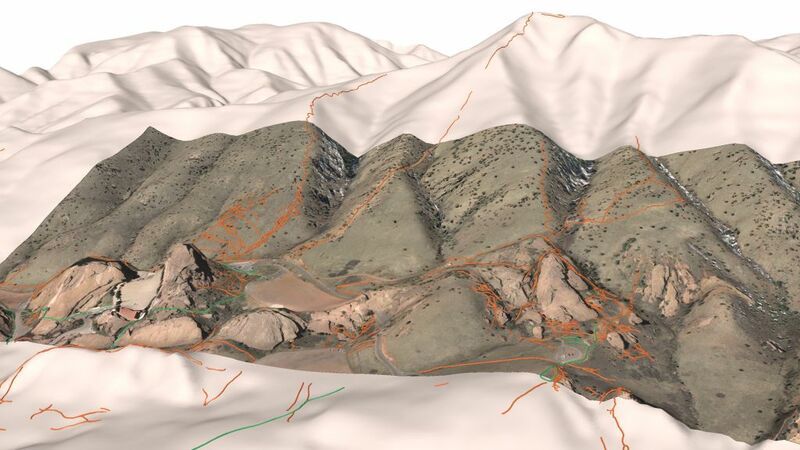 Confluent Design was previously retained by Denver Parks & Recreation to conduct an inventory and assessment of the natural surface trail system with recommendations for trail closures, improvements, and habitat restoration. This assessment was used to prioritize work and seek partnerships and grant funding for restoration and trail improvements. Several miles of natural surface trails have been constructed or rehabilitated.